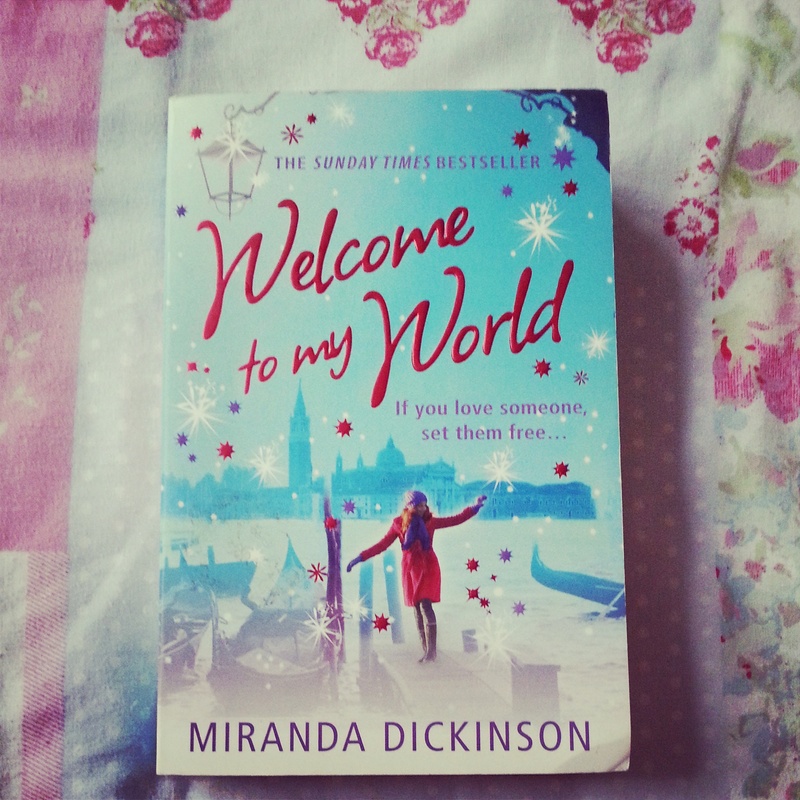 So this is my latest read, “Welcome to my world ” by Miranda Dickinson. So as the blurb says, the story starts with main character Harri hiding in the loo, and explains events leading up to this in a series of flashbacks, with the story occasional skipping back to Harri hiding in the loo. I’ve had this story on my bookshelf for a while, the first time I tried to read it i got distracted and forgot about it. I did find this quite hard to get into with the switch between past and present, but when I’d gotten over that and figured out who all the characters were I quite enjoyed it. It’s nothing too extraordinary, a typical romantic novel and the endings quite predictable but enjoyable as a light hearted read and I did finish most of it in a three hour sitting. Fan’s of Jill Mansell and Sophie Kinsella will enjoy this. What did you think? Any recommendation on books you love?